So my task is difficult. Because mere words – and a few photos – are all I’ve got to convince you to make the trek to Mount Washington. But I’m going to do my darned best to get you to promise yourself you’ll go. Wouldn’t you want to be standing on the edge of this very lake absorbing the sounds and smells of the wild and the rugged? Where the only noise to disturb the silence is the rustling of a small animal in the nearby brush… and the only scents are from fields of wild flowers that surround you. I don’t know about you, but looking at that picture I can almost taste the lake… and the crisp mountain air. I want you to experience the thoughts and feelings, and wonder, of standing on the summit, and knowing there’s no other place like it on earth. Mother Nature surely had a remarkable day when she created Mount Washington. Mount Washington stands 6,288 feet above sea level in the heart of the White Mountains national forest. 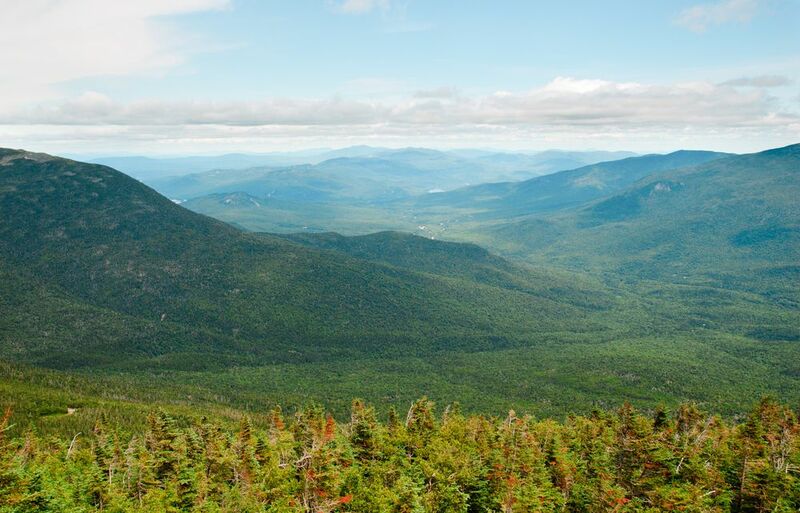 It’s the pinnacle of the presidential range, a group of mountains – you’ve guessed – named after U.S. presidents. As you stand on the summit on a summer’s day it’ll likely be windy… like most days. If the day is clear you’ll be able to see Quebec, the Atlantic Ocean, and four other states. Yes, you’re standing at a truly unique crossroads in the world. In addition to its lofty elevation, Mount Washington lies in the path of both: the major storm tracks AND the air mass routes that affect the Northeast. The mountain’s topography and high elevation create an acceleration effect on the wind in much the same way a river’s velocity increases as it passes over a rapid. The summit of Mount Washington has buildings that house a museum and a working weather observatory. On a stormy day in April 1934 The Mount Washington Observatory recorded a wind speed of 231 mph. This remains a world wind speed record for a surface observatory. “Hardly did we realize as we were enjoying a fine view of the Atlantic Ocean that we were to experience during the next 48 hours one of the worst storms ever recorded in the history of any observatory.” – Log Book entry, Sal Pagliuca. You’re going to need a whole day to spend at Mount Washington. Most visitors to the summit take the auto road. 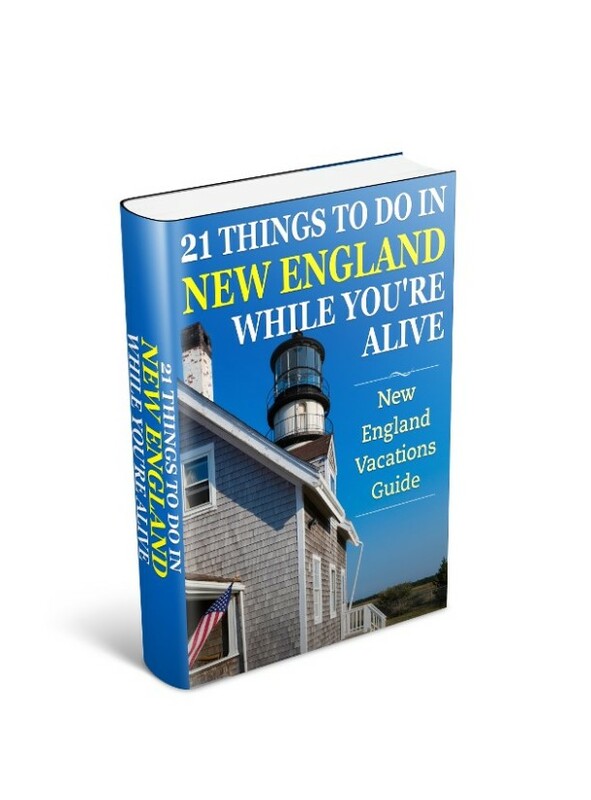 There’s a charge but you get an audio tour and a bumper sticker that proclaims your car has climbed Mount Washington. The road has some steep inclines, so check your brakes and engine before starting out. Do make sure you’re not driving a rent-a-wreck with worn brake pads. Promise? You can reach the Mount Washington auto road by traveling on route 16 to Pinkham Notch. The road to the summit is closed during the winter to private vehicles. 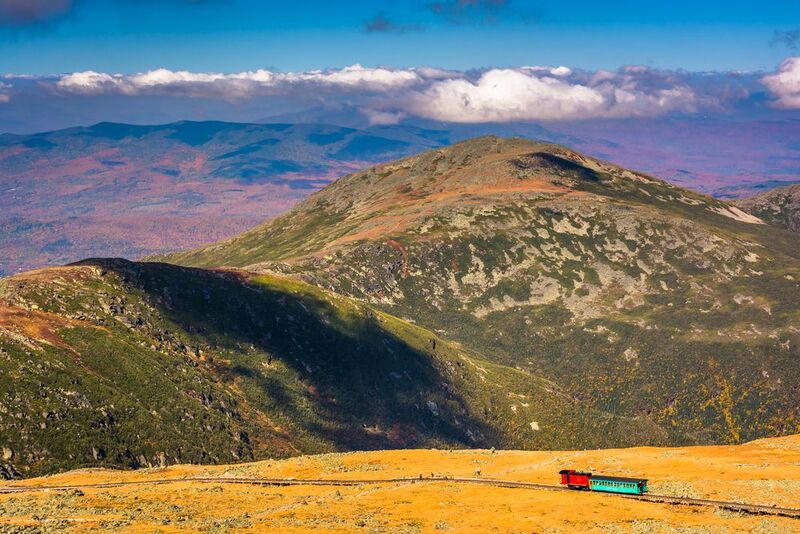 My personal favorite way of getting to the summit is “The Mount Washington Cog Railway.” Yeh, I know it’s that “train” thing again. 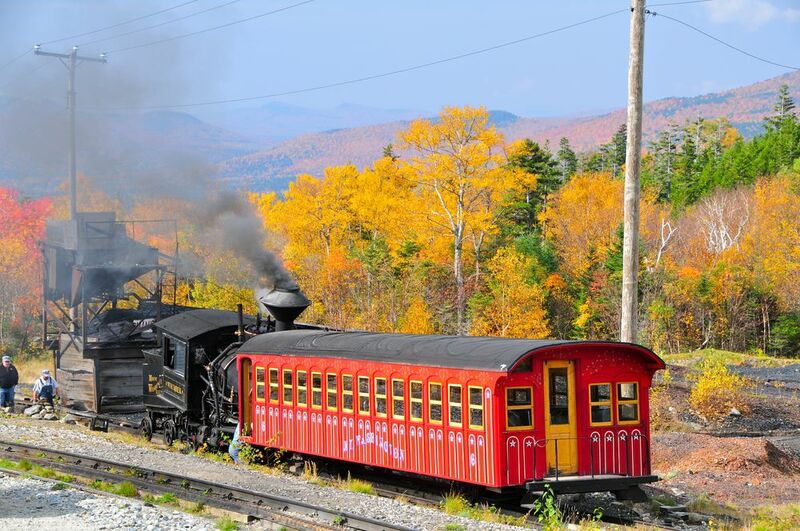 The Cog Railway has been running since 1869, and in the summer season and fall, it runs hourly. The round trip takes about 3 hours with a 20-minute stop at the summit. In 2005 an adult ticket cost was $59… but you’ve come this far buddy, and you’ll probably never make the trek again so indulge… you deserve it. You must book in advance to take this ride… so don’t just turn up and be disappointed. The ride itself is just one of those fascinating journeys where you’re never quite sure what’s coming up around the next bend. Maybe an old style wooden bridge over a stream, or a bunch of hikers taking the long way home. Or even a bear. And after the final chug sounds as you pull into the station at the summit, you’ll have time to explore the buildings, and catch a few special moments on top of New England before the return journey. Getting there is easy. From North Conway to the Base Road is only a 45-minute drive – you’ll be traveling along route 302 as you pass through Bartlett and Bretton Woods and then take the Base Road to the Marshfield Station. Welcome to the world of hiking. 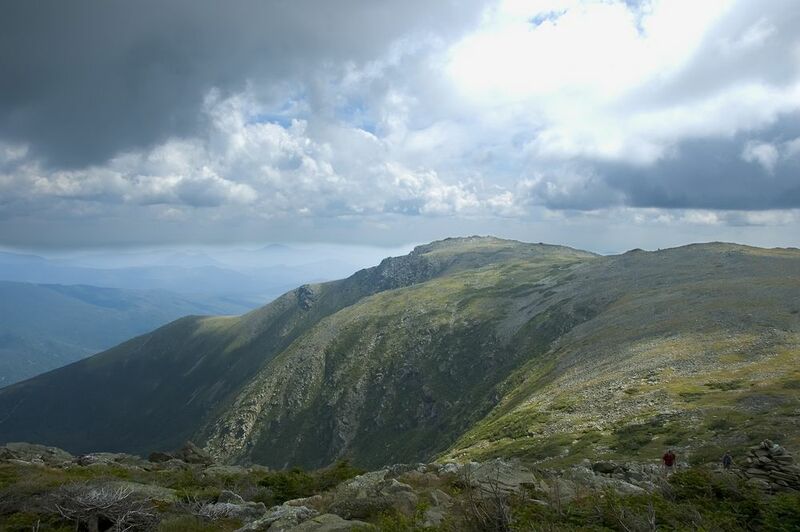 There are a number of great trails on Mount Washington. Not all get you to the summit, but the ones that do vary with difficulty. The most popular is the Tuckerman Ravine trail which starts at the Pinkham Notch Visitor Center on route 16. If you’re going to hike this trail start early and avoid the crowds. By early I mean aim to start before 8:00am. That way there’s a chance you’ll get some solitude, and you can get up and down with a relaxed pace. Another popular trail, and probably the easiest to the summit, is the Jewell trail. You can pick this up at the Base Road (off route 302) and near the cog railway Marshfield Station. Again leave yourself plenty of time to make the trip up and down. As with any long hiking trip avoid traveling alone, and know your own limitations. 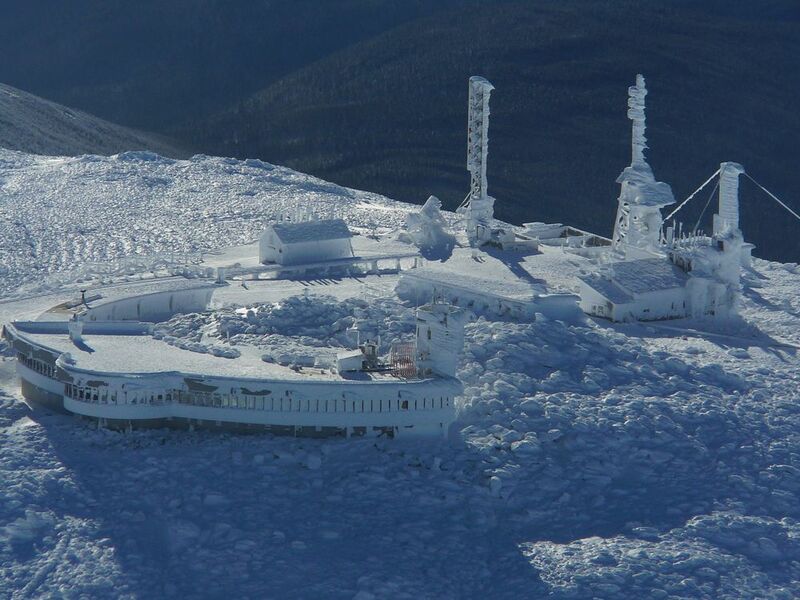 Warning: The weather on Mount Washington can change very quickly, and dramatically. Even during the summer it can become life threatening. And there are numerous hikes on the mountain to enjoy without pressuring yourself to hike to the summit. 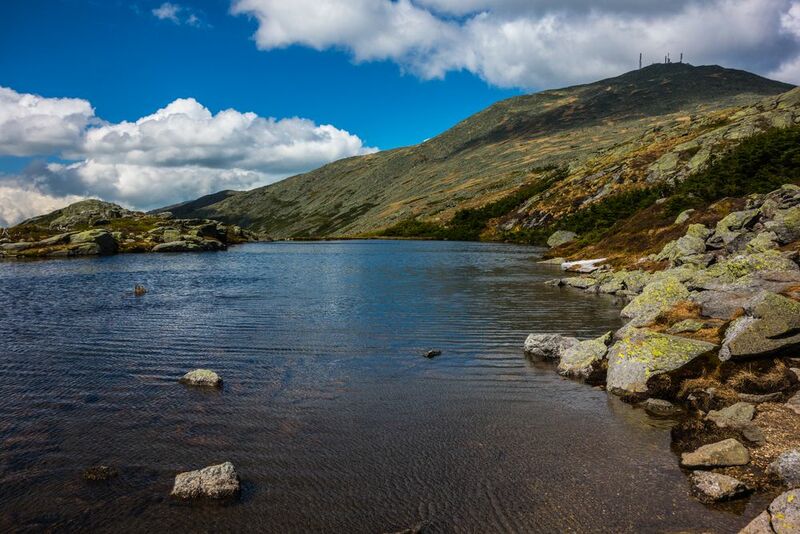 But having said all that, if the weather is fine, and you’ve started early enough, you won’t regret asking your body for a little extra to sample the amazing experience of hiking to the summit of Mount Washington. Now I’ve concentrated here on summer and fall vacactions, but maybe you’re looking for something different. Winter and spring on Mount Washington is a different ball game altogether. In winter the bone-chilling cold, and constant threat of avalanches, is dangerous to the unprepared and inexperienced hiker. A guide is a good choice. But then in the spring you can find the weekends full of skiers heading for Tuckerman Ravine – April and May are the best times to be a spectator of the annual crusade by people that prefer their skiing to be free, and on non-groomed trails with no chair-lifts. If that time of year interests you for a vacation – or you want to know more about skiing at Mount Washington, then you’ve got to read the Mount Washington section at my New Hampshire skiing page. The Mount Washington and Presidential range area has a wide variety of accommodation to suit all budgets and preferences. There are two towns I recommend for soft bed and pillows and close to the range for hiking and walking. These are North Conway and Jackson. For Jackson lodging and accommodations. 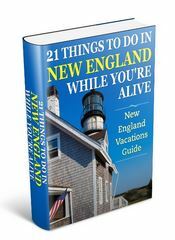 For North Conway lodging and accommodations.